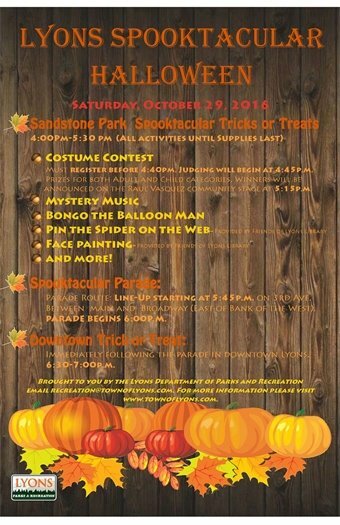 Lyons Halloween Spooktacular features activities including live music, mask making, pumpkin carving, face painting, Bongo the Balloon Man, hay rack rides, a costume contest, and all sort of tricks and treats for gouhls and goblins, and a parade through Town. Area residents are encouraged to enter unique Halloween entries in this year’s parade. 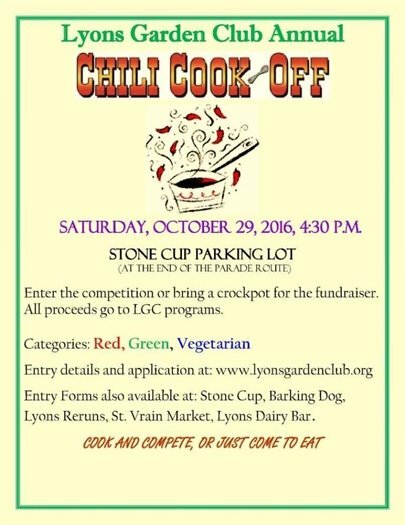 Come out and help support these Lyons events - a good time will behead by all!! Pavement is now complete throughout the Confluence Area CIP vicinity. The final stages of the project include seeding and cleanup, estimated to wrap-up within 2 to 3 weeks. Paving from the 2nd Ave/Railroad Ave/Evans St. intersect continuing along Railroad Ave southeast, and wrapping up with the Park St./US-36 intersect has been postponed to begin Thursday, Oct. 20. Pavement marking (bike lanes, etc.) and patching will continue throughout the week, which require lane closures. 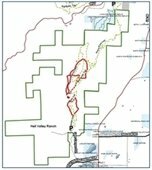 Heil Valley Ranch is open to the public with on-trail use only through the burn area, which is along the Wapiti Trail. Due to weather conditions and increased wildfire activity across the state, there will not be additional ignitions at Heil Valley Ranch this week. The burn window is through Oct. 31, so there is a possibility that ignitions will resume next week if the weather cooperates and fire resources are available. Fire crews will continue to mop up and monitor the 75-acre area that was burned on Oct. 13 & 14. They are still staffing the burn unit 24/7 at this time. 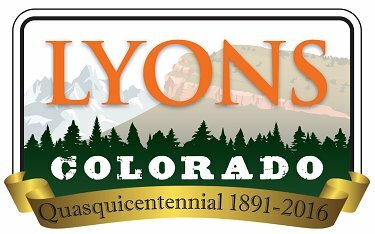 Lyons Fire has been approved to use some of the structures over at the Martin Property (109 County Road 69) for fire department training. This training includes forcible entry, ventilation training and other general fire department training scenarios. The fire department may be doing 1-2 night trainings and 1-2 day trainings on the property through Monday, Oct 24. What could be more fun than getting your hands on some clay and letting your imagination soar as you use your hands to create. We are offering 4 different pottery sessions for your child to attend, each one creating something different. Parents are welcome and encouraged to join! 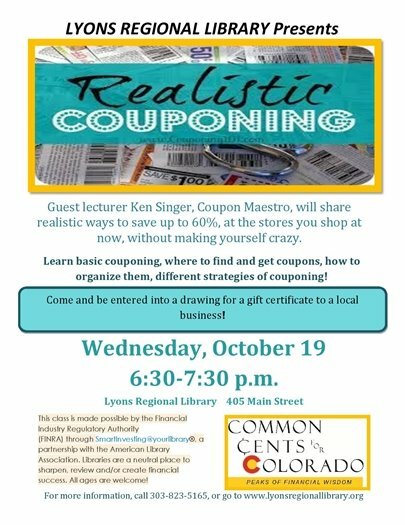 You won’t want to miss this class! See the 2016 Fall/Winter Recreation Brochure for more information on upcoming programs, or email Lori LeGault. October is the perfect time to vote! Vote early! Once you decide how to vote, return your mail ballot. Voting early helps reduce campaign phone calls for you and helps the county process ballots throughout the election period rather than on just one night (no votes are tabulated before election night though!). Realistic Couponing! One person will win a Local's Discount Card from St. Vrain Market, AND a King Soopers $25 gift card!